Department General Practice, Director of Teaching and Learning, Chair of the Victorian Practice Based Research Network (VicReN) and co-lead of the Department’s Children and Young People’s Research Stream, University of Melbourne. Lena has 20 years of experience researching the potential of primary care to improve young people’s health through system interventions and evidence-based strategies for clinician learning and change which she is now translating to the Indonesian context through collaboration on 3 projects (Australia-Indonesia Centre). She has been a Chief Investigator on 5 RCTs of primary care health service interventions including digital interventions to improve preventative care for young people and to help them navigate the mental health service system. She is the Victorian government’s medical advisor on the implementation of a school-based health service (SBHS) program (2015-2019+). She is RACGP Co-Chair of the children and young people’s health committee, works clinically in youth sexual and reproductive health and has given many invited presentations on adolescent health to community, health professionals and school staff in urban and rural areas. 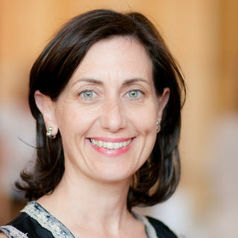 She is a principal investigator on two National Health and Medical Research Council’s (NHMRC) Centres for Research excellence in Safer Families (for prevention of abuse and violence) and Making Adolescent Health Services Work in a Digital Age (2017-2023), and a partnership grant on Implementing an Integrated Model of Chlamydia Case Management in General Practice (2018-2023).